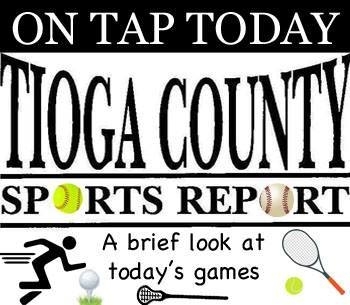 Johnson City (1-4) at Owego (3-3), 4:30 p.m.: The Indians are coming off an eight-inning loss to U-E Wednesday and JC fell to M-E.
Johnson City (2-2) at Owego (2-2), 4:30 p.m.: Unbeaten U-E had its hands full with Owego for about the first 3 1/2 innings Wednesday while the Wildcats were no-hit by M-E. Candor at Southern Cayuga, 4:30 p.m.: The two met in their season openers with the Indians causing to a 27-0 victory. Owego (2-3) at Watkins Glen (1-3), 5 p.m.: The Indians are coming off an impressive win over Whitney Point while the Senecas just posted their first win. Newark Valley at Odessa-Montour, 4 p.m.
Newark Valley at Marathon (boys only), 4 p.m.